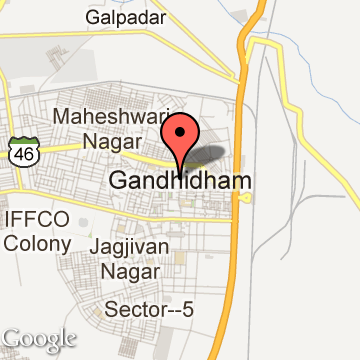 Gandhidham is a city and a municipality in the Kachchh District of Gujarat state of India. The town was created in the early 1950s for the resettlement of the refugees from Sindh (Now in Pakistan) in the aftermath of the partition of India. Gandhidham is a fast developing city in Gujarat state. The town of Gandhidham is located in the Indian state of Gujarat, and it is a popular tourist destination. This town is located in the Kachchh district, which is located in the north western part of the state. The town of Gandhidham is a planned one that is divided into many sectors, and this was mainly because this town was constructed with the sole aim of accommodating refugees from Pakistan after the partition. The town of Gandhidham has a major port, called as Kandla port. There are many places of interest in the town of Gandhidham, and the entire region is mainly famous for its many Jain centres. Gujarat has a lot of Jain temples and centres, and Gandhidham is no exception to this rule, as it houses Bhadreshwar, which is a major pilgrimage centre for Jains in India. The temple houses a huge statue of Lord Shiva, which can be seen in the ground floor of the structure. You can even see the various beautiful sculptures inscribed in the outer walls of this magnificent structure, during your travel around Gandhidham. The Shiva temple in Kera, built during the 10th century, is yet another spot of tourist attraction. You can also visit the 10th century temple in Purneshwar. Soon after the separation of Pakistan from India in 1947, a large group of refugees from Sindh of came to India. Maharaja of Kutch His Highness Maharao Shri Vijayrajji Khengarji Jadeja on advice of Gandhiji, gave 15,000 acres (61 km2) of land to Bhai Pratab, who founded Sindhu Resettlement Corporation to rehabilitate Sindhi Hindus uprooted from their motherland, Sindh in Pakistan. Sindhi Resettlement Corporation was formed with Acharaya Kriplani as chairman and Bhai Pratap Dialdas as managing director. The main objective of the corporation was to assist in the rehousing of displaced persons by the construction of new township. The first plan was prepared by a team of planners headed by Dr. O. H. Koenigsberger, director of the division of housing in Government of India. Subsequently plan was revised by Adams Howard and Greeley Company in 1952. The foundation stone of town was laid with blessings of Mahatama Gandhi earlier in 1947 and hence town was named Gandhidham. It is said that it was barren land with snakes and scorpions so numerous, Bhai Pratap had to offer compensation 25 paise to kill a scorpion and 50 paise to kill a snake in this area. The first plan envisaged 400,000 as ultimate population of town, expecting half of it would reach in mid seventies. Revised plan envisaged three stages of town development with mid stage lasting longer with population around 150000. Gandhidham Tourism - Get all information on Gandhidham tourist places and sightseeing tours. Our website helps you plan your next tour and gives you great ideas on what to do, where to eat, where to stay and when to go there. We give the best information from the web to give you precise, meaningful and useful travel guide for leading places to visit in India and from across the world. Our travel information on Gandhinagar tourist places, tourist attractions, major sightseeing, the best time to visit, the top places to visit in Gandhidham, the must-see things to see and do, maps, restaurants, hotels, nearby tourist destinations, local public information and more. 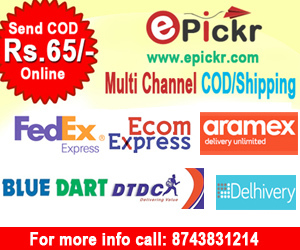 To start with check out information on how to reach Gandhidham.